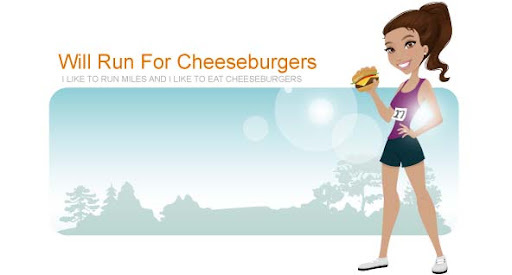 Will Run for Cheeseburgers: Do I gush? I've never considered myself a gusher ... I usually don't sit around and gush to people about how wonderful things are. That is until Mason entered my world. I could talk about that kid for hours to friends and strangers alike. So for a moment, indulge me in a Sunday morning gush-fest about my son. Ryan's been out of town for a couple of days and my patience level with Mason has been at an all time low. It's like he senses when Ryan is gone and decides to drive me extra crazy. This morning was a rare instance where everything has been pleasant and sweet. He woke up in a great mood, watched some Sesame Street while I took care of Honey, and waited patiently until it was time to leave for breakfast. I took him to my favorite breakfast spot, Terrace Cafe, for a little son/mommy outing. He sat in his highchair and colored ... mostly on the paper and some on the wall (oops). He worked on his miniature puzzles until our food came out. He ate lots of pancake, biscuit, and sausage and signed for "more" when he was ready for extra. He was the perfect breakfast companion and my heart swelled when neighboring tables commented on how well behaved he was, and of course what a good eater. We left the restaurant after Mason said "bye bye" to all of the guests and employees. He sat quietly in the car as we drove home and when I asked him if he had fun with mama at breakfast he said "Yes!" I find myself complaining and getting frustrated at the little things my toddler does on a daily basis. This time I wanted to sit back and comment on how happy he makes me. Mason is a pretty cool little man and I couldn't imagine my life without him. He's my sidekick and I hope he looks back at these fleeting memories with as much happiness as I will.